The “Alpe di Siusi” is the highest “high-plateau” in midst of the Dolomites and Europe-wide known for their magnificent nature and the beautiful mountains. The alp shows their splendour with the alpine pastures and meadows, with the impressed vegetable kingdom and the majestic mountains with the imposing tops around the “Schlern region”. Who would enjoy the nature, respire fresh and clean air and will refill with power, should of course profit from the different possibilities which offers the alp. The different walking tours (over 300km), offers all the family to pass the free time with sport and recovery. The “Alpe di Siusi” is cosset from the nature and is situated in a beautiful landscape with the surrounding villages Kastelruth, Seis and Völs. Experience the alp with all their facets and attractions, by walking or climbing, biking or paragliding, riding, golfing, swimming, by a sun-bath, on a shopping tour or doing nothing. Enjoy on the “Alpe di Siusi” the sun-skiing, in the valley the spring begins, the days get longer, the sunbeams get stronger and say goodbye to the winter. The nature awakes, the birds sing, the cuckoo call and the first flowers sprout; something special for nature lovers. 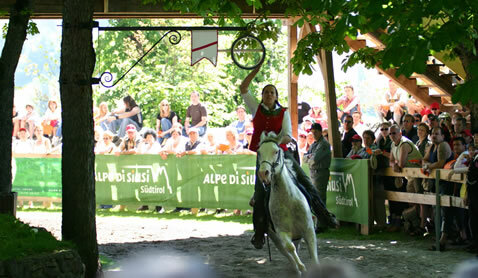 In June every year take place a big spectacle with horses, the “Oswald von Wolkensteinritt”. A must-have for each horse lover. The fascinate nature around the “Alpe di Siusi” awake. The colourful, specious flower variety, the alpine roses in the natural park is a feast for the eyes. It is beautiful to enjoy the summer in South Tyrol on a walking tour. A lot of different possibilities to walking convince also the pretentious walker. Climb on the “Dolomites”, one of the most beautiful mountains of the world. 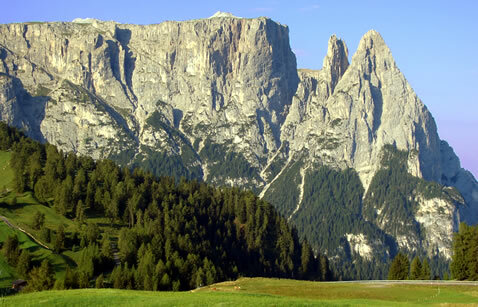 Since 2009 the Dolomites believe to the world natural heritage UNESCO. You can find easy panoramic ways or climbing tours – on the alp each wish comes true. The golden autumn with his colourful landscape, the clear air and the perfect view, as far as the eye can reach. 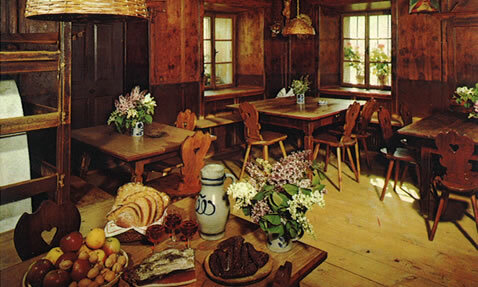 The walking ways invites to a “Törggele” tour in the surrounding “Buschenschank” (typical local) with their old traditional (farmer) rooms. In this beautiful season happens the ceremonial drawing down of cattle from the mountain and the “Kastelruther Spatzen” festival. In the white season You can enjoy the ski-area Gröden-Seiser Alm with connection to the “Sellaronda” and Dolomitisuperski. Each wish would be fulfilled. Make holiday without Your car, in the winter the ski bus stop directly in front of our farm. Of course we also go to meet You at the station. Breathe a clean air, enjoy the warm sunbeams, the white and extend winter-landscape on the highest mountain pasture from South Tyrol. This is a wonderful nature-event! From the tops of the “Alpe di Siusi” You can enjoy a breath-taking scenery and forget the even day life. 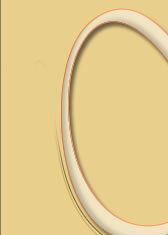 You can pass with Your family and Your friends restful and unforgettable days. 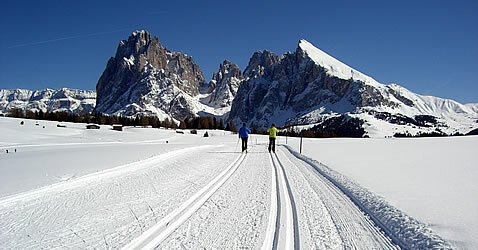 Of course the “Alpe di Siusi” offers different possibilities for winter-activities. On the 60km long and very good prepared course and in the snow-park skier and snowboarder can riot. For long distance runner there are ski tracks with different length and difficulty, and there are also some toboggan-slides for choice. 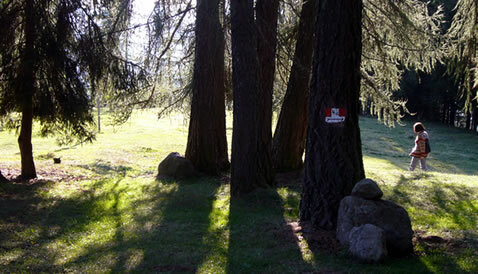 The walker or the snow-shoe walkers expect infinity and miraculous ways through the woods and white meadows. Therefore the “Alpe di Siusi” is one of the most beautiful ski-regions in the Dolomites and in the Alps generally.